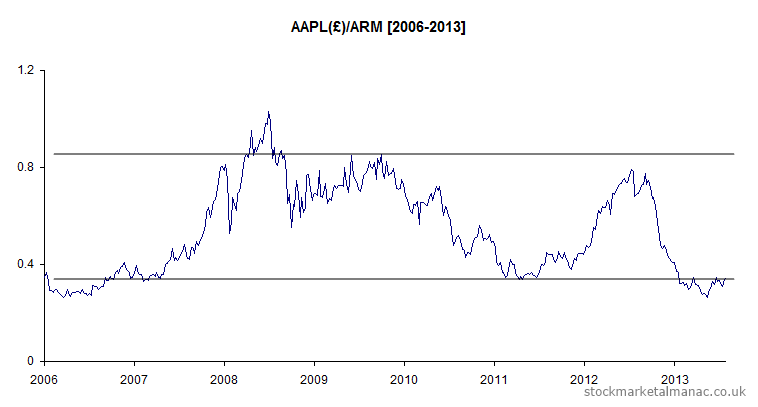 The following chart plots the share price of Apple [AAPL] (in sterling) divided by that for ARM [ARM] for the period since 2006. A can be seen, for the past seven years the ratio has fluctuated between the bounds of roughly 0.34 and 0.84. 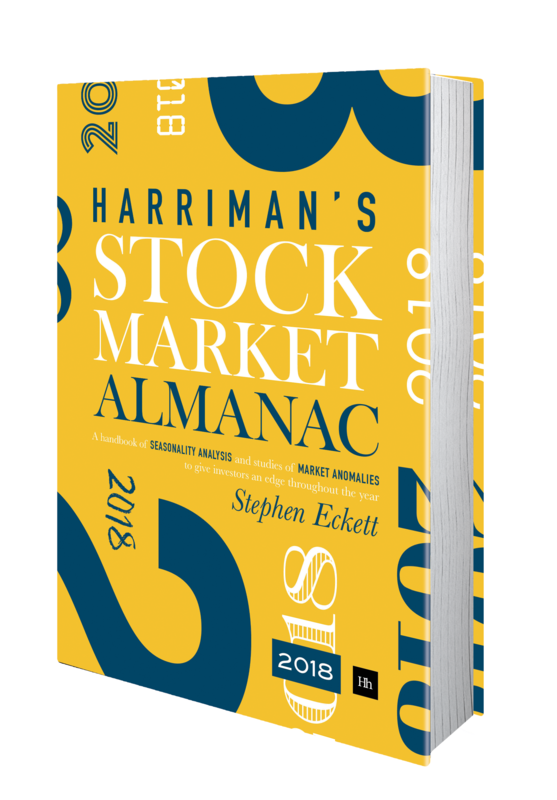 If the ratio is to continue to trade between these two bounds, Apple shares (in sterling terms) must increase relative to ARM.